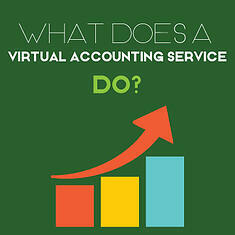 What Does a Virtual Accounting Service Do? 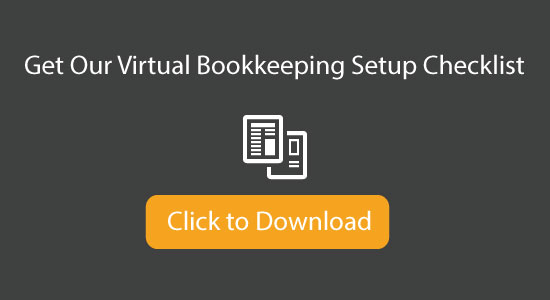 Your virtual accounting team should be able to enter all of the data and transactions from your bank and credit card accounts into your accounting software. From there, it should be their responsibility to reconcile that data to monthly statements and give you an accurate view of your cash and credit positions. Depending on the level of service that you are paying for, your team should be able to send invoices, monthly statements, and even make collection calls for you. As you look around for the best accounting solution, make sure to ask the sales person if they will actually make collection calls for you. Some firms will do this while others will not. At Ignite Spot, this is a core service that we provide for our clients. Each week or month, your accountant should enter all of the bills, organize them by due date, and send you a report showing what is due for payment. Once you approve which bills you would like to pay, they should be able to prepare those checks for your signature or use a software solution like bill.com to complete the check run. If you are required to collect and pay sales taxes, your virtual accounting service should be able to provide this for you. If you are working with a good team, they will help you to set up a separate account to hold sales tax funds through the month. They will then fill out the sales tax form and send it to you for approval. Once approved, they should be able to submit all of the necessary paperwork to your state tax commission. Make sure to provide your team with your CPAs contact information so that they can work together to provide you with the best financial support possible. Your CPA will have a tax strategy in mind for your company and will want to make sure that the virtual team is aware of it. At Ignite Spot, we have an in-house team of CPAs that work directly with the bookkeepers. It's not a bad idea to look for a virtual team that has both levels of staff so that you can have everything under one roof. One of the main reasons that entrepreneurs hire a virtual accounting team is that they are unhappy with the level of reporting that they are currently receiving. Your team should be efficient enough to get you weekly or monthly reports, and to get them to you on time. Your team will either provide payroll directly to your company or they will work with a payroll company to offer the service. At Ignite Spot, we have partnered with Paychex to provide payroll for all of our clients. However it's done, make sure that your team is not only creating paychecks for your staff, but that they are also completing your payroll tax returns when required and submitting payments. This one doesn't apply to all virtual accounting services. Some will offer consulting and others are merely a data entry service. Depending on what you are looking for, this is an important factor in deciding which firm to go with. Make sure that your team has a good grasp on technology. If they have been around for awhile, they should be able to mange your QuickBooks licenses, host your software, and offer suggestions for other accounting platforms that may make more sense for your needs. A good team will take your current system and make it better. There are other services available to you depending on the virtual accounting service that you choose. There are a lot of options out there. To help you find the best company for your business, make sure to check out our article on some of the main providers and their pricing options by clicking here.